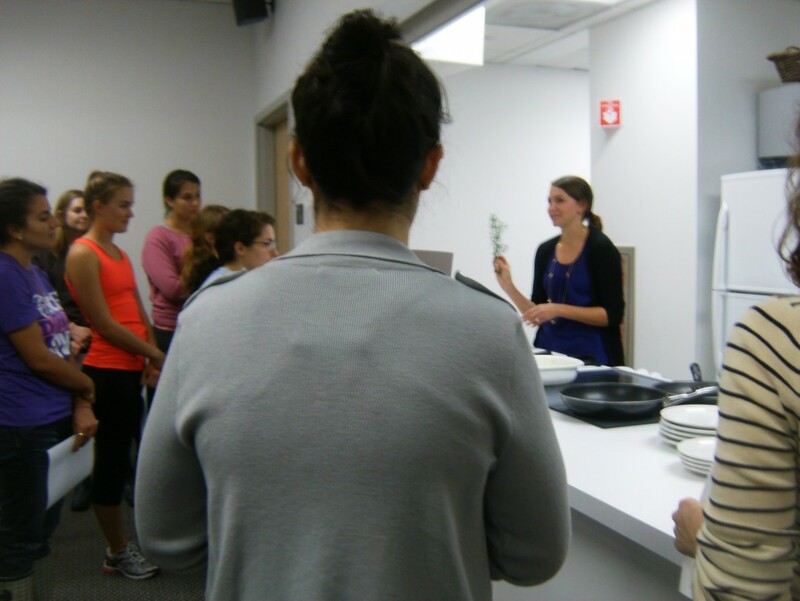 RD Laura Judd‘s class Healthy Cooking on a Budget is geared for you, the average college student. You’re busy and you’re hungry, and this class will teach you how to make a quick and filling meal without packing on the pounds. 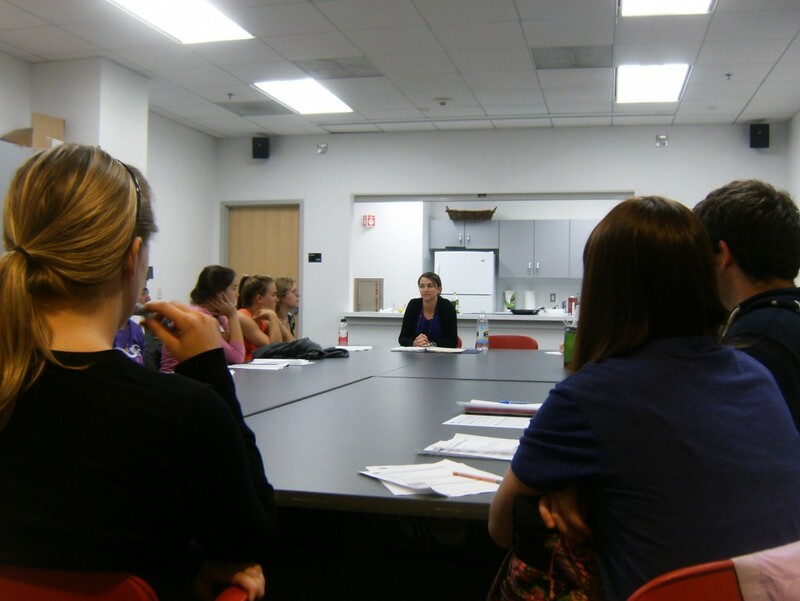 You’ll also learn how to grocery shop and how to read and understand nutrition labels. It’s eye-opening how some foods that may seem healthy have way more sodium than you would think. Even scarier is the amount of unnatural, chemical components that make up a large amount of packaged food items. Another shopping tip I found especially helpful was, when buying meat, look for 96% lean meat and above. In addition to looking at nutrient content of food, we compared prices and cuts so that we could decide what was worth our while to buy and what we can do without. Knowing how much you should be paying for things and when to look elsewhere for a better price are excellent tools for college students on a budget. In addition to teaching you healthy recipes, you learn how to be safe in the kitchen. One safety tip is to always use different cutting boards for meat and vegetables. 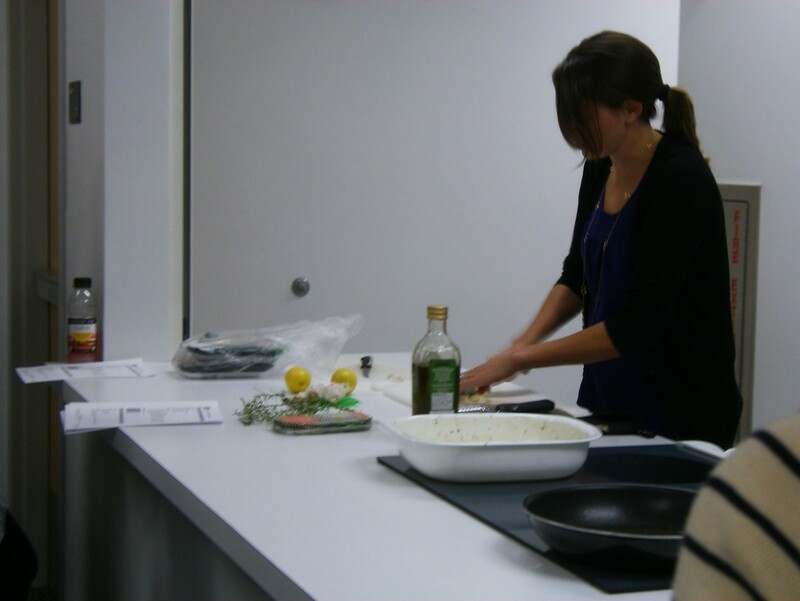 In this past class, we learned how to properly defrost frozen meat products and what the proper way to cook and freeze meat is. This was especially helpful since freezing items is great for storing things long term. 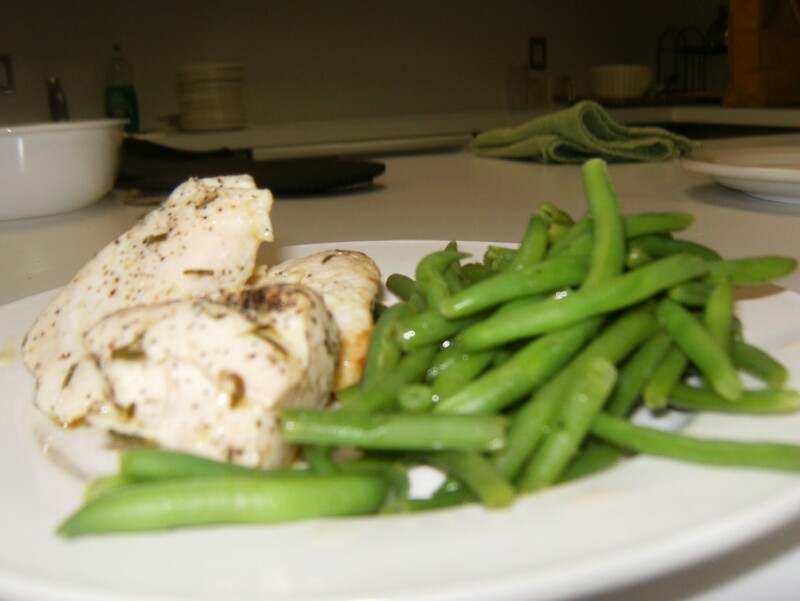 On the menu for today’s class was baked chicken with sautéed green beans. This recipe was not only healthy and fast, it was delicious. In this class, Laura likes to use what she calls “flavor profiles”. The one that we used today was a combination of garlic, rosemary, lemon and olive oil. We used these flavors with chicken, but it goes well with other types of proteins as well, namely fish. By the end of this class you will know five to six different flavor combinations. Having all these options for flavors will really diversify and add excitement to your food so that you aren’t always eating the same things. The recipe we made today is very simple and doesn’t take too much time to make with only a ten minute prep for the chicken and a 20 minute bake time. Even the beans were fast taking only a few minutes sautéing on the stove-top. The lemon, rosemary and garlic packed it with flavor and complimented each other very nicely. The good thing about this recipe is that it has very little clean-up. You only have to wash two pots and the rest can go into the dishwasher.